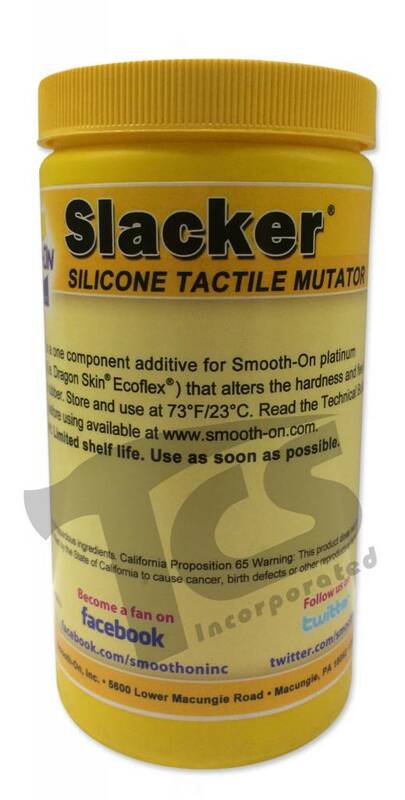 Slacker® can be added in larger proportions to Smooth-On’s super soft and stretchy platinum silicones (for example, Dragon Skin® FX-Pro®) to make silicone gel that can be used to create gel-filled silicone prosthetic appliances. Gel-filled appliances will flex, bend, and even wrinkle like human flesh. 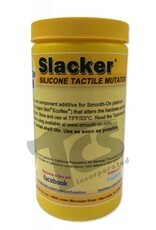 Silicone gels created with Slacker® can also be used to create cushioning materials for medical applications (anaplastology). Use Skin Tite® adhesive to temporarily, but securely, adhere silicone appliances to the skin.